Held over two consecutive days, this workshop advances the skills of both novice and veteran contractors in reading and estimating an architectural set of plans. Below you will find additional details about this workshop. If you have any questions regarding this workshop, please contact our helpful Career Counselors at 1-800-732-9140. At the end of the class, you will be able to interpret the plans of a single family home and estimate the cost of construction. Full sets of plans and necessary workbook included (an $80.00 value). 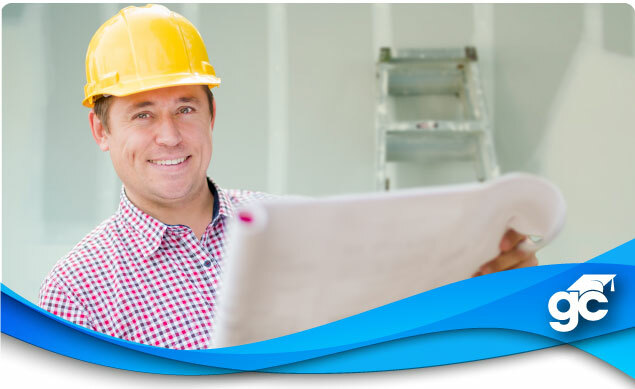 Regarding construction courses, there isn’t a more practical course for a contractor to take. The skills and techniques learned here are directly applicable out in the field. To register online, use the drop down menu in the “Schedule Your Course” box or choose “Register Now” next to the course offering below. If you have any questions or would like to register by phone, please contact our helpful Career Counselors at 1-800-732-9140.